Through the Hospital’s excellent Social Work Department we provide a guaranteed sum every month for distribution to low income families, to help meet the unexpected expenses of travel, food, telephone calls and other essentials. This department depends on voluntary finding for its supplies, from toys, crafts and crayons to outdoor play equipment. 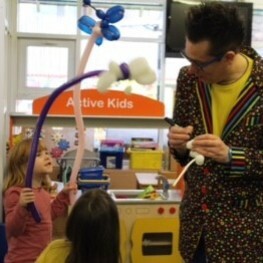 Through POD, a children's entertainment charity, The Guild funds monthly visits from professional entertainers and magicians who bring fun and laughter to the wards and playroom. 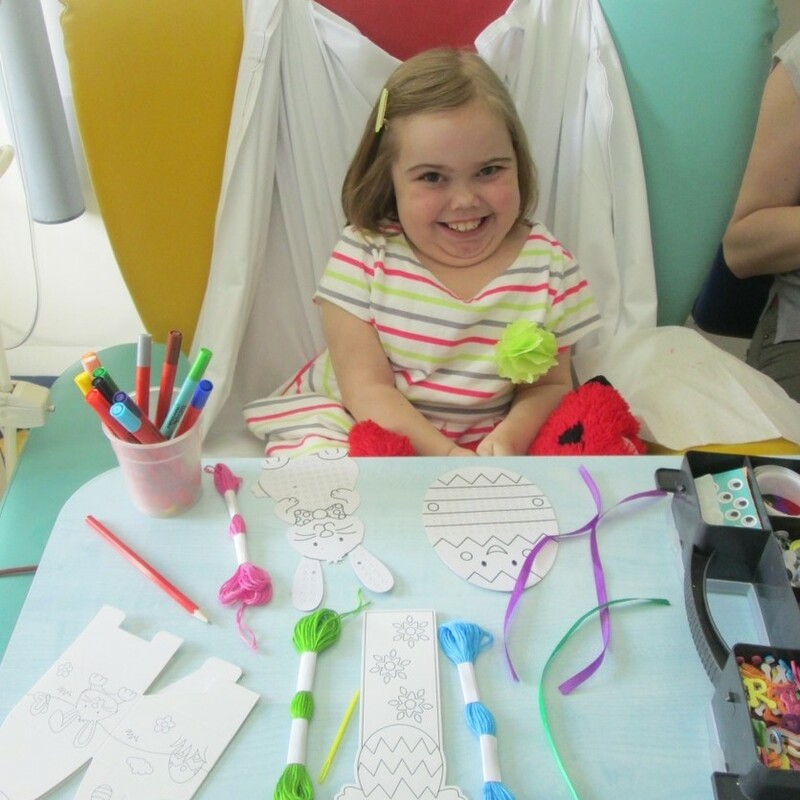 Art inspires in so many ways every day, and through a series of art-themed events, the 'Angels in Art' project has helped to raise funds for art activities for the children at The Bristol Royal Hospital for Children. themes of angels and stars. 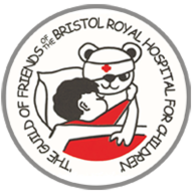 Along with a series of illustrated lectures given by Elaine and the very generous support of the Brownsword Charitable Foundation of Bath, the project raised over £18,000.00 for the Guild of Friends. 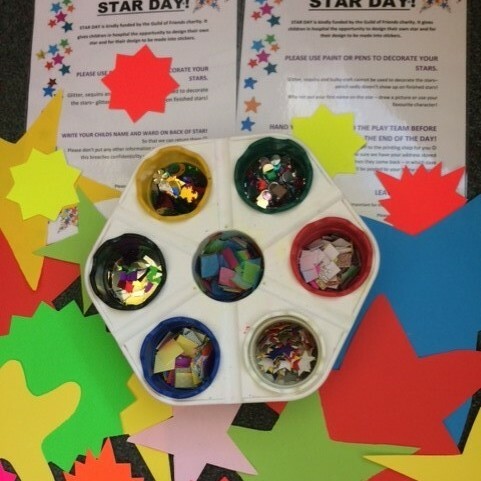 Once a month in the Children's Hospital there is a designated 'Star Day' when the Playgroup team set up an activity area to create the stars. 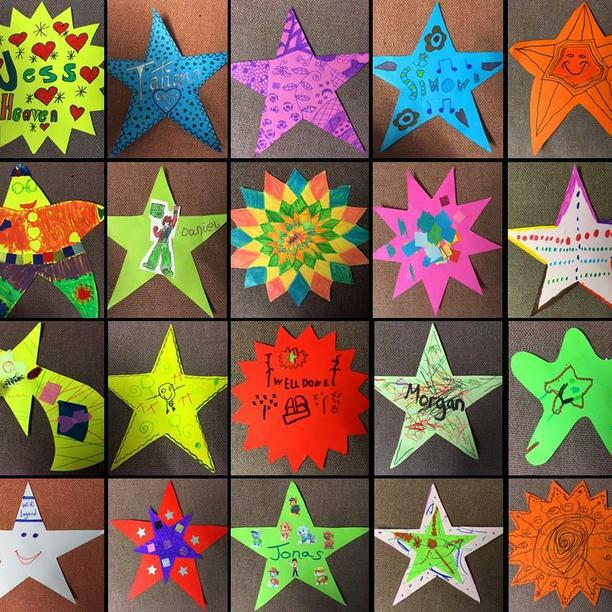 The children design their own stars which are made into stickers and are given back to the children. The 'Angels in Art' project funds all the materials used to make the stars and the printing costs of the stickers. It also funds all the special activity crafts in the Playgroup department at Christmas and Easter time. A selection of stars was also recreated as enamelled versions and are displayed around the hospital. 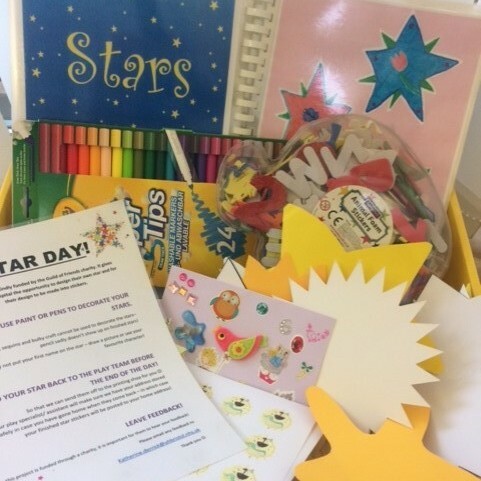 ‘Aisha had fun making the stars; it’s a fun activity for the children. Thank you for the stickers’. ‘My son loved making the star for his brother; we can’t wait to see the finished stickers’. ‘Jacob had fun making his star. 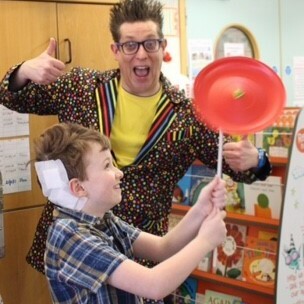 I think it was his favourite activity and he is really looking forward to receiving his stickers. Thank you to the Guild of Friends from Jacob's Mummy’. 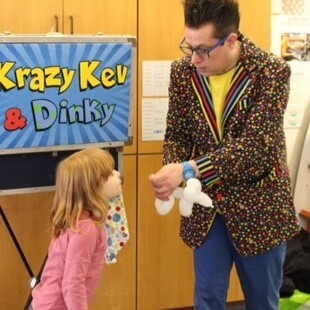 When funds allow we provide more substantial sums to purchase specialist equipment which is beyond the budget of the hospital but reduces inpatient time, theatre time, or in any way improves the quality of life of the patients. In the past we have purchased an intensive care monitor, a specialist operating table, chemotherapy computer package, cardio vascular ultrasound imaging unit, and TENS machines to allow children with chronic conditions to leave hospital and return to their families, school and activities. For the wards we purchased a portable saturation monitor and some new apnoea alarms. Larger one-off donations include £20,000 for a Diomed Laser for use in twin to twin transfusion and £13000 towards a new high tech baby resuscitation mannequin for training staff. Most recently we have funded ROMPA equipment for the Sensory Room, a SonoSite Edge ultrasound machine, and Haemodialysis equipment. We are currently funding the production of a discharge booklet, in which each family will have all the important information they might need on leaving the hospital. We rely solely on donations and our fundraising to carry out the functions of the charity. We thank you so much for your continuing support. 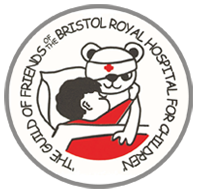 The Guild's contributions make a very real difference to improving the hospital experience of the children and their families.